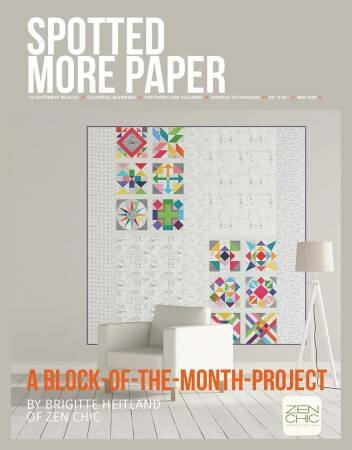 Spotted More Paper is a brand new Block-of-the-Month program by Brigitte Heitland of Zen Chic! These 12 different blocks will incorporate colorful blenders, textured low volumes, and various techniques. The finished bed size quilt measures 85 x 85” and is easily completed with our month-to-month pace. $13.99 a month for 12 months plus purchase of book. Starts December 2018 Reserve your spot today—space is limited!